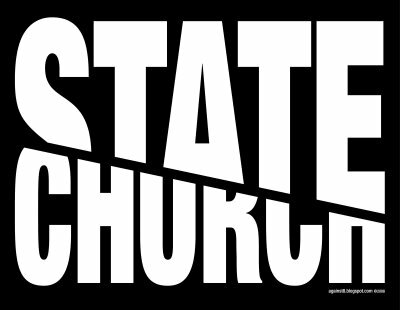 For most of my life I remember hearing the phrase separation of church and state. However, some time in my teenaged years it changed meaning. At Dabbs Elementary the term meant that the USA would not establish a national religion, which I deemed a good thing. The last thing my 5th grade imagination wanted was for the USA to have a religion that was contrary to the Bible (a chapter or so before I learned that a war broke out when England forced her citizens to follow a national religion). It had never occurred to me HOW the term was hijacked, but after reading the transcript it made sense. The media, who would loved to be called mainstream even though they are not mainstream, had repeated it so many times that Americans accepted it. In backyard sports its called it the first and loudest rule. Whoever makes the call first and loudest is right. The media has yelled first and loudest and America is playing into her call. Media Revolution has printed the full text of Mr. Jefferson's letter. It seemed as though some of Jefferson's friends were pushing for a national religion and the to-be President was pushing back, reinforcing the fact that American government would remain neutral in the field of religion. Interesting, no? 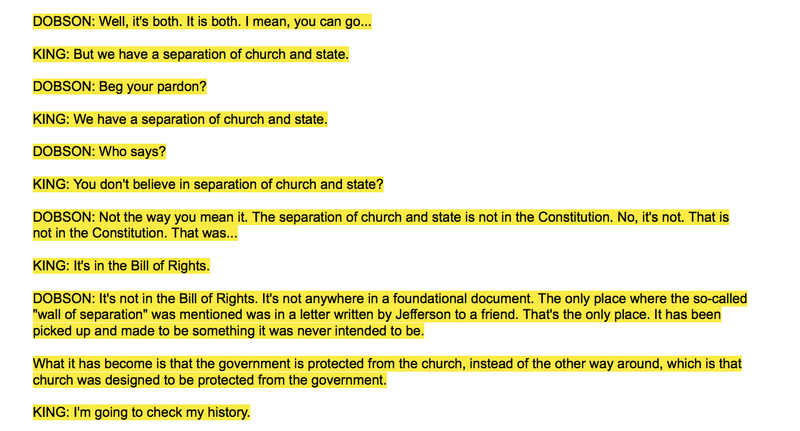 So what does/does not Separation of Church and State mean? Separation of Church and State does not demand that morality vacates the premises when government arrives. Separation of Church and State does not mean that government protects vulgarity under the first amendment. Separation of Church and State does not mean our government in striving to achieve a perfectly peaceful planet with out the help of the peace giver. Separation of Church and State, in it's truest form, means that the government can not tell me who to worship. Separation of Church and State means that I am free to worship God, in my home teaching a Bible study or in a building built for worship. It's time Christians get involved in the Separation of Church and State, as originally intended!